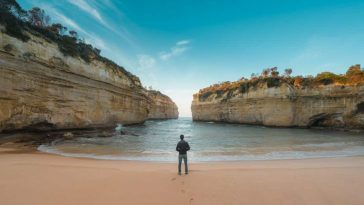 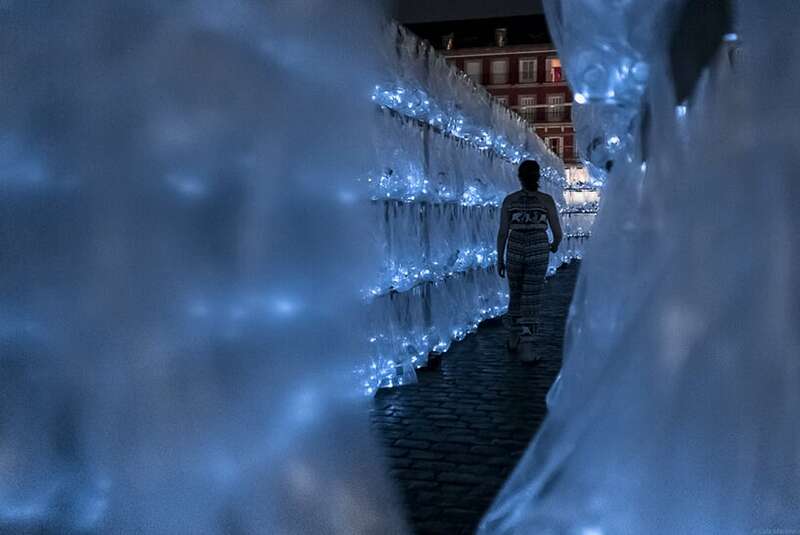 To attain this, the group assembled a structure with hard avenues and narrow passages which induce visitors to maintain turning — creating a deep sense of disorientation. 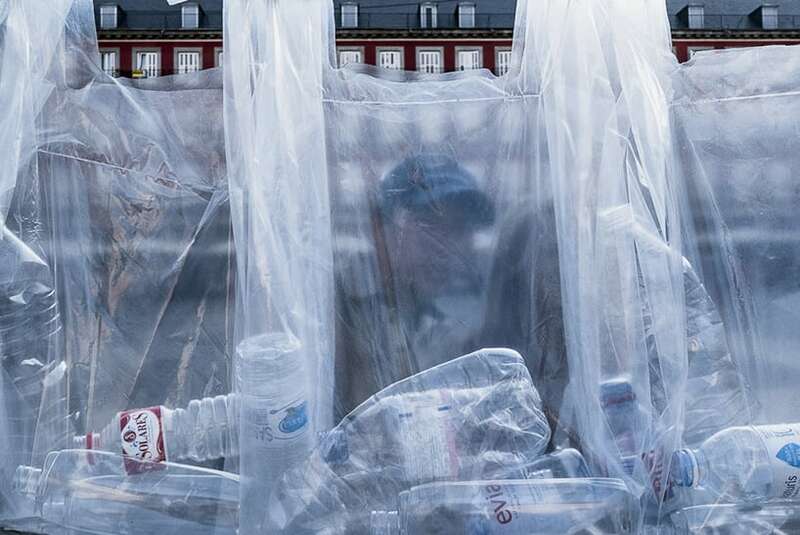 A deficiency of reference points together with the warmth and smell of the plastic just serves to boost the tricky experience. 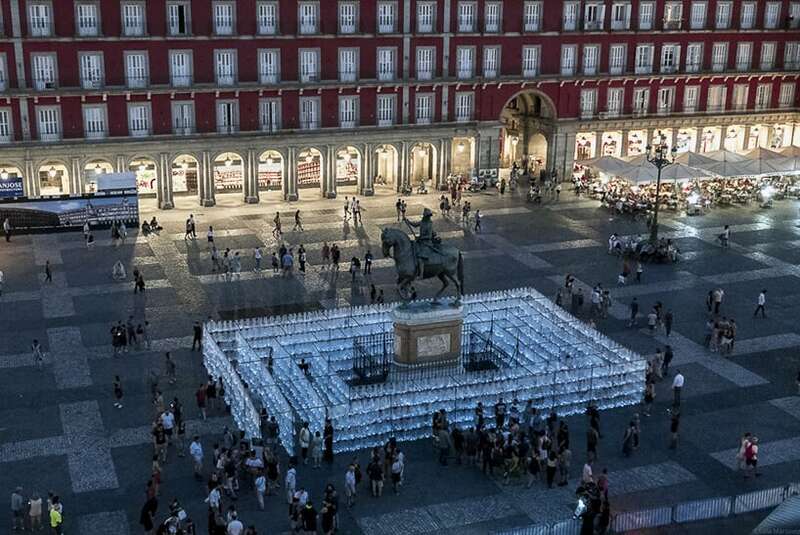 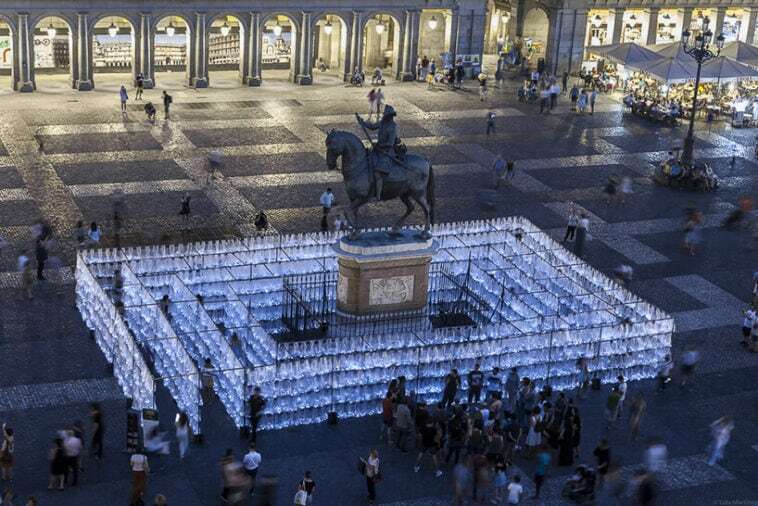 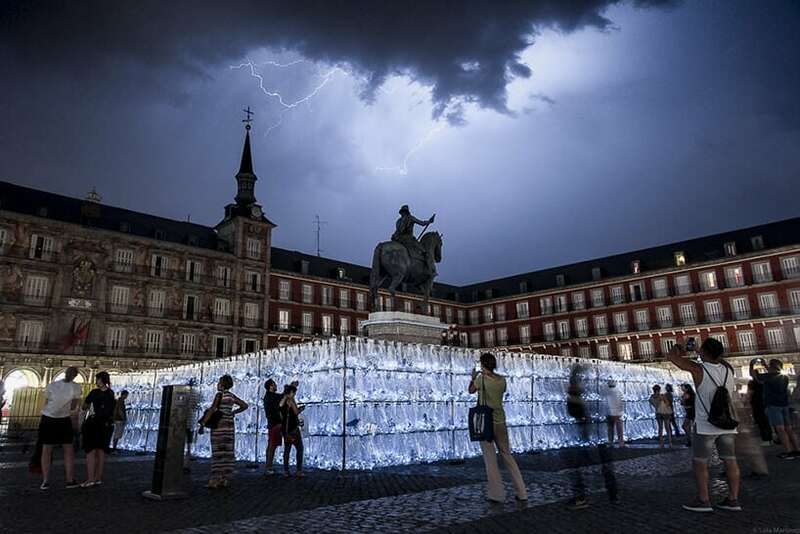 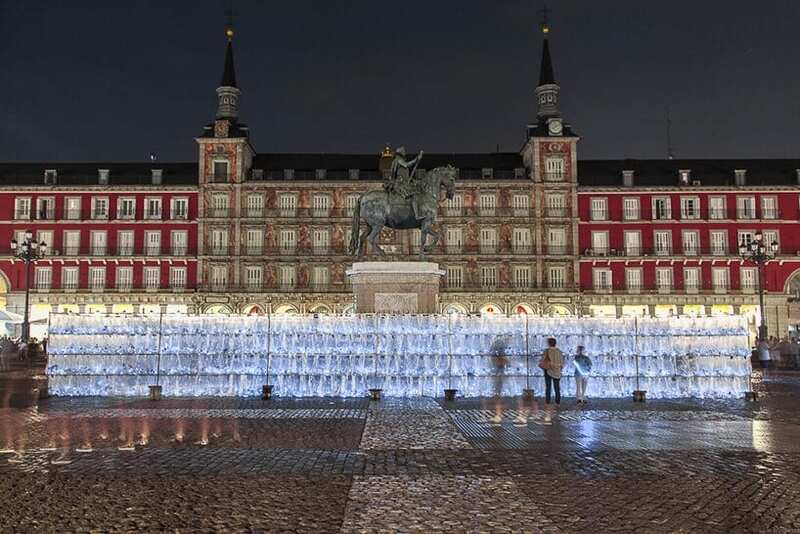 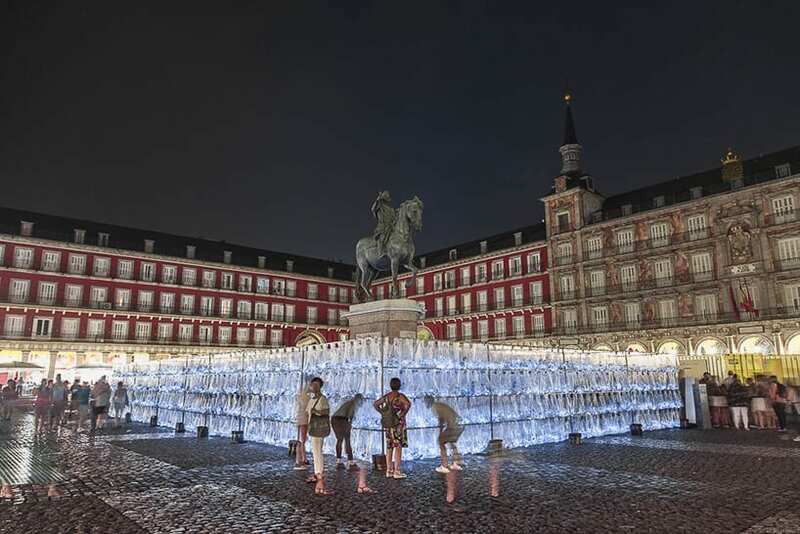 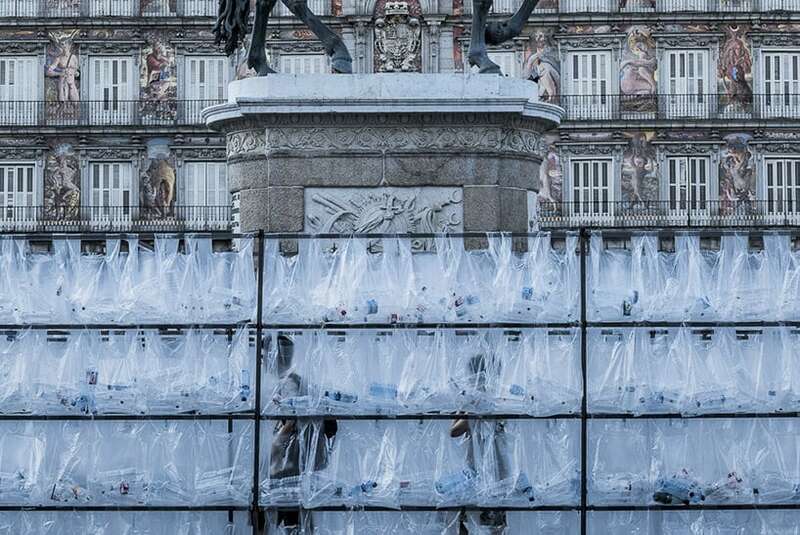 Placed around the plaza’s statue of King Philip III in Madrid, the maze’s corridors are 558 feet in length and are surrounded by 10 feet high walls that contain 15,000 bottles hung within clear bags. 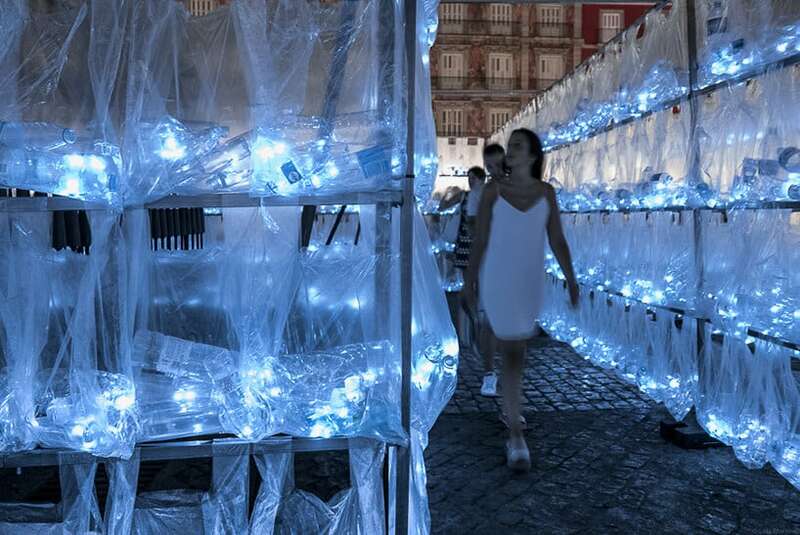 During evening hours, incorporated lighting aids vibrantly light up the structure. 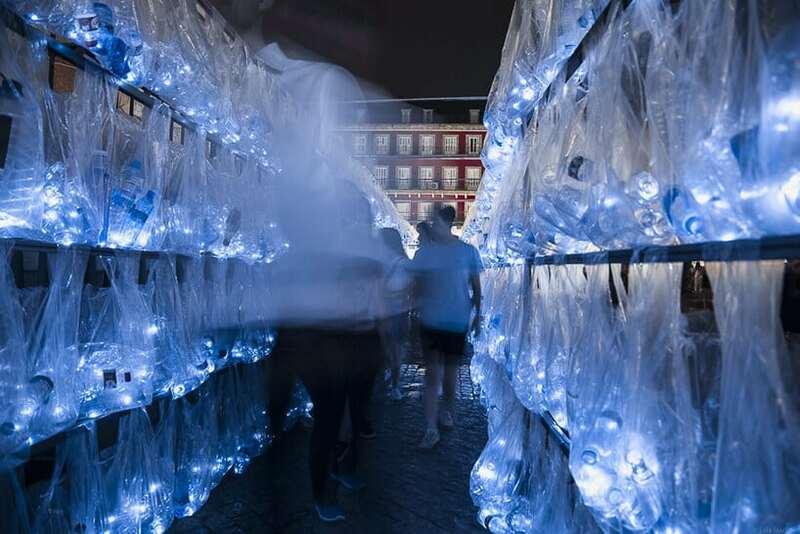 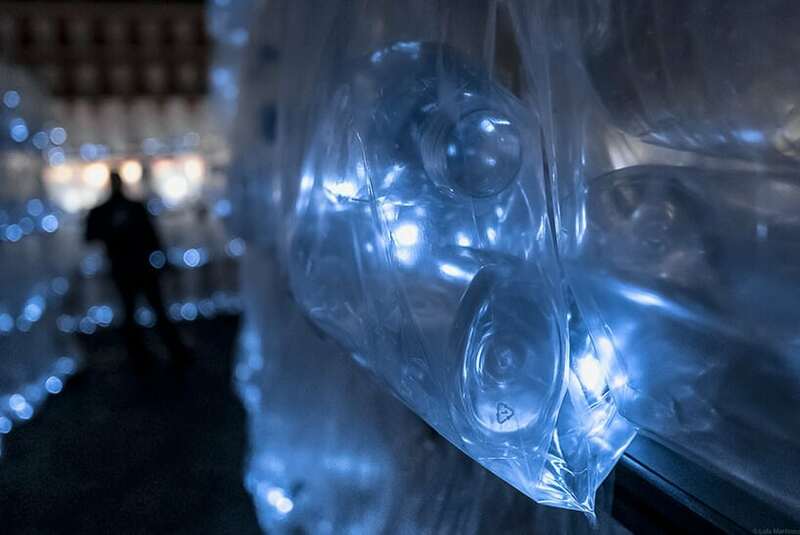 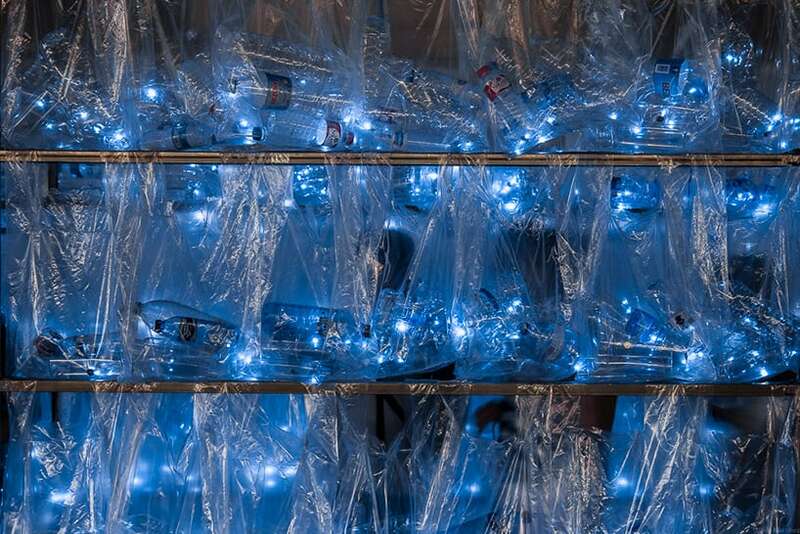 The design team needed to get in touch with a wide assortment of schools, hospitals, and official associations to acquire the tens of thousands of bottles necessary for the installation.